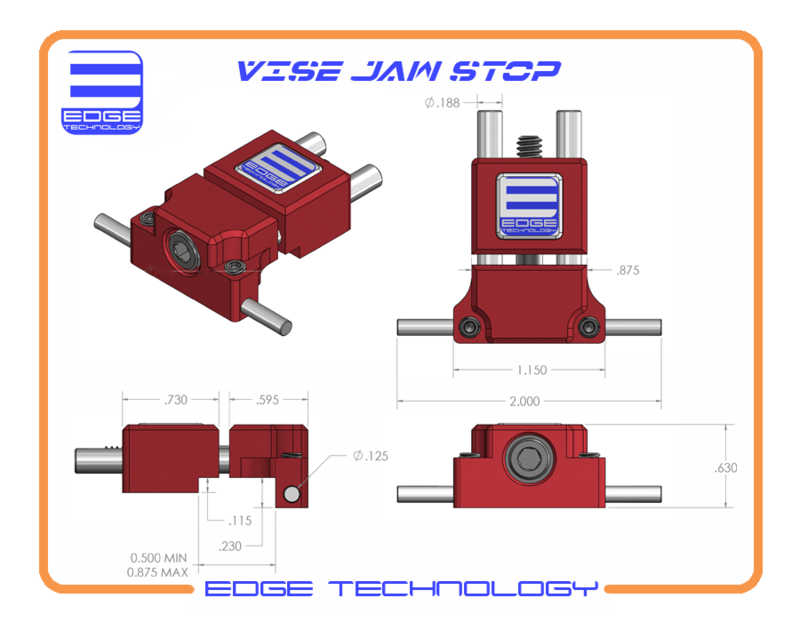 The Vise Jaw Stop by Edge Technology is the most advanced jaw stop to date. It features a micro stop rod that is positioned below the top surface of the vise jaws for cutter clearance. 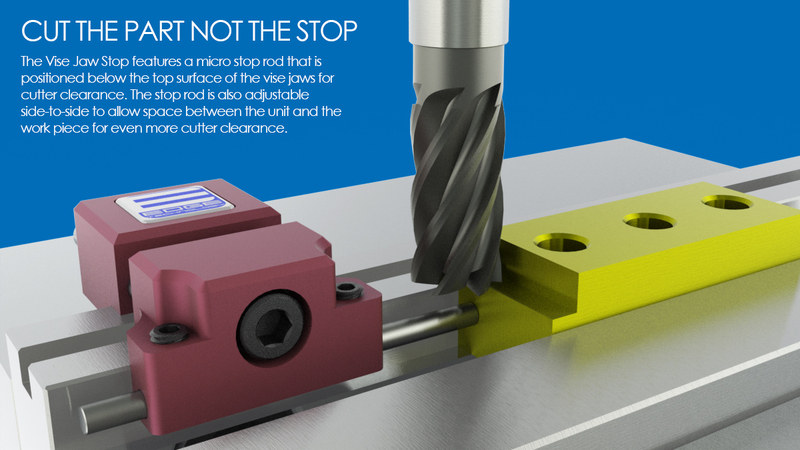 The stop rod is also adjustable side-to-side to allow space between the unit and the workpiece for even more cutter clearance. •	The stop pin is positioned completely below the top surface of vise jaw to allow for cutter clearance. •	1/8" x 2" hardened stop pin is used to accurately locate workpieces. The stop pin is also adjustable side-to-side to allow for cutter clearance. 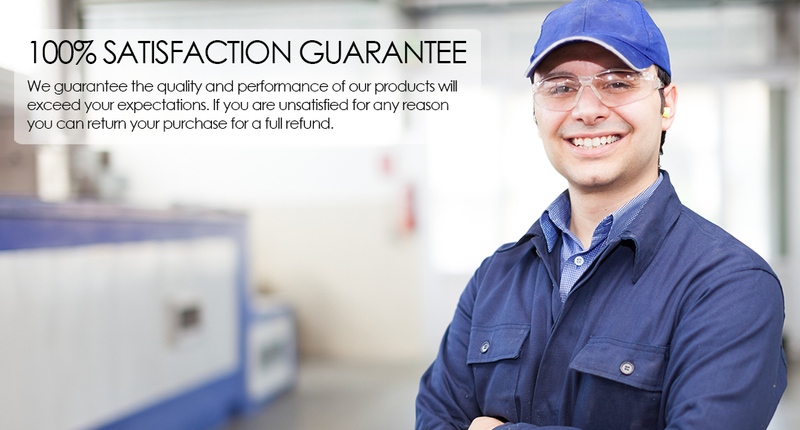 •	Fits all milling machine vises with 1/2" - 7/8" thick jaws and 1/8" minimum protrusion. •	1-1/8" wide body with 2 hardened steel guide pins and large #10 clamp screw are used to secure the unit to the vise jaw. •	8-32 non-marring flat point set screws are used to secure stop rod. •	Body made from anodized aluminum.